Female prizefighting got a double barrel blast of American firepower this past weekend as Layla McCarter and Amanda Serrano displayed their respective talent. Serrano proved why American female fighters are feared and respected the world over as she blasted out Austria’s Eva Voraberger in a mere 35 seconds to win a record seventh weight division world title. A left to the body left the brave Austrian paralyzed and counted out at Madison Square Garden. DAZN streamed the fight. In winning the WBO super flyweight world title Serrano has shown them to be mere trinkets and has been vocal about fighting for bigger purses. In defeating Voraberger so easily she may have scared off Ireland’s Katie Taylor the undefeated lightweight world champion. That’s a fight worth watching. 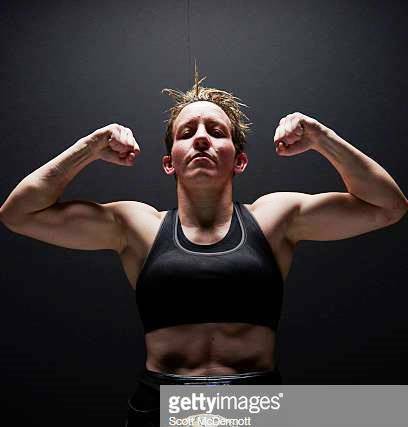 Taylor has speed and technique but lacks the pure firepower of Serrano, who coincidently is not lacking in technique and is considered one of the top female fighters pound for pound. Meanwhile, on the other side of the country in Las Vegas, McCarter, the top fighter pound for pound in our estimation, accepted a fight on two-week’s notice and cruised by Argentina’s Yamila Reynoso in a 10 round fight at the MGM Grand. It was the same fighter that Serrano had beaten by decision last month. McCarter, like Serrano, has won multiple division world titles and would like a crack at the big money fights. She prefers a match with Katie Taylor but also sees fellow American Jessica McCaskill as a potential clash with commercial appeal. “I was real impressed with her (McCaskill) fight against (Erica) Farias. I can see that being a good fight between me and her,” said McCarter. McCarter’s team has been negotiating with DAZN who have a contract with Taylor and streamed both Serrano and McCaskill’s last fights. Any fight involving McCarter would be a strong boost for DAZN and women’s boxing. She is willing to fight from lightweight to super welterweight depending on the money. The two American victories by McCarter and Serrano proved what other fighters around the world know: to prove you are the best fight the best American prizefighters. That’s the ultimate test. Claressa Shields was recently voted Fighter of the Year but she could easily be “Ambassador of the Year” for women’s prizefighting. The WBA, WBC and IBF middleweight champion Shields attended the Manny Pacquiao-Adrien Broner title fight, but days earlier she watched Layla McCarter in action against Yamila Reynoso in Las Vegas. Wherever big night boxing is going on Shields can usually be found. That’s a good thing for the sport. Her presence has been a boost for pro female boxing. We interviewed Shields in Las Vegas and she talked about what’s next on her agenda in and out of boxing. She had some big news and we will share it later this week. Maricela Cornejo is featured in a main event on Sunday Jan. 27, at the Avalon Theater in Hollywood, Calif. She’s slated to fight Erin Toughill of MMA and boxing fame on the 360 Promotions cards. We have a story on the fight coming up this week. A big female fight card takes place on Saturday Jan. 26, and features three American-based prizefighters including Aida Satybaldinova, Angela Duarte and Chicago’s Alejandra Ayala at Auditorio Municipal de Tijuana. We’ll have more later this week. Macarena Ledesma (10-0) defeated Marisa Nunez after 10 rounds by unanimous decision on Saturday Jan. 19. The Argentine lightweight title fight took place at Buenos Aires. Roxana Bermudez (2-0-1) was the winner by decision after four rounds against Antonella Molina (0-2) on Friday Jan. 18. The bantamweight fight was held at Alvarez, Santa Fe. Katy Nieva (1-0) beat Brenda Perez (0-1) by decision after four rounds on Friday Jan. 18. The featherweight bout was held in Catamarca. On Friday Jan. 25, light flyweights Evelyn Bermudez (11-0) and Luisana Bolivar (10-5-1) meet for the IBF world title at Pujato, Santa Fe. Kandi Wyatt (8-0) won by decision over Dalila Velazquez (5-1) after six rounds on Saturday Jan. 19. The welterweight fight was held in Calgary. Also, a featherweight fight between Stephanie Essensa (3-2-2) and Edna Maltos (2-1-1) ended in a majority draw after six rounds. On Saturday Jan. 26, light flyweights Kim Clavel (5-0) and Luz Martinez (5-1) meet in a six round fight in Montreal. Sarah Mahfoud (8-0) was the winner by unanimous decision over Bukiwe Nonina (14-4-1) after 10 rounds on Friday Jan. 18. The featherweight title fight was held in Nykoebing Falster. Nina Pavlovic (2-2-1) defeated Nahed Kharchi (4-2) by unanimous decision after six rounds on Saturday Jan. 19. The featherweight clash was held at Menton. On Saturday Jan. 26, light flyweights Sarah Boorman (8-0) and Sanae Jah (15-3-1) meet in a 10 round title fight at Karlsruhe. Cintia Cenjel (6-0) knocked out Evelyn Farkas (5-2) in the first round on Sunday Jan. 13. The bantamweight fight took place in Budapest. Also, Kamilla Boka (3-1) knocked out Great Szucs (0-2) in the first round of a super lightweight bout. On Saturday Jan. 26, super flyweights Victoria Torres (9-0) and Jasseth Noriega (24-4-2) meet in a 10 round clash at Ciudad Guzman, Jalisco. On Saturday Jan. 26, welterweights Alejandra Ayala (10-4) and Denise Castro (5-1) meet in an eight round contest at Tijuana. Two other female bouts are planned including Aida Satybaldinova and Angela Duarte in separate bouts. On Saturday Jan. 26, super welterweights Hanna Gabriels (18-2-1) and Sarah Dwyer (3-4-2) meet in a 10 round fight for the WBA world title at Managua. Gabriels, 36, fights out of Costa Rica and Dwyer fights out of Australia. This is Gabriels first fight since her riveting clash with Claressa Shields that was voted Fight of the Year in 2018. On Friday Jan. 25, middleweights Hannah Rankin (5-3) and Eva Bajic (14-15) meet in an eight round fight at Glasgow, Scotland. Amada Serrano (36-1-1) blew out Eva Voraberger (24-6) in 35 seconds on Friday Jan. 18. The knockout win in the WBO super flyweight fight gives Serrano her record-setting seventh division world title and took place in New York City. Layla McCarter (43-13-5) won by unanimous decision against Argentina’s scrappy Yamila Reynoso (11-6-3) after 10 rounds on Thursday Jan. 17. The welterweight match was held in Las Vegas, Nevada. On Friday Jan. 25, featherweights Kim Wabik (0-0-1) and Britain Hart (2-3) meet in a four round bout at Windham, New Hampshire. On Saturday Jan. 26, bantamweights Rosalinda Rodriguez (8-0) and Liliana Martinez (22-18) meet in a 10 round title fight at Reading, Pennsylvania. On Saturday Jan. 26, welterweights Kali Reis (15-7-1) and Bianka Nagy (2-2) meet in a six round match at Uncasville, Conn.
On Sunday Jan. 27, super welterweights Maricela Cornejo (12-3) and Erin Toughill (7-3-1) meet in an eight round contest at Hollywood, California.